This is from 2012, can't say I remember anything about it at the time, Bart Sibrel followed Apollo 11 astronaut Edwin "Buzz" Aldrin out of a Hollywood hotel and relentlessly harassed him about whether he actually landed on the moon. 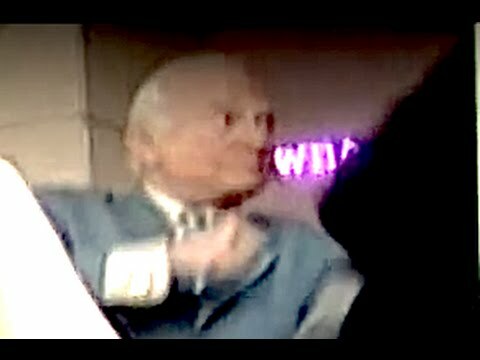 Calling Buzz Aldrin a coward was a step too far, for a man of his years that's classed as fighting talk, did he ever give that idiot a clout! Last edited by MrBlueSky; 3rd August 2016, 12:36. ...here's a clue.....he killed people for a living! What's wrong with that ? I was paid to do the same. ...should maybe have thought it through first! Old news - this guy follows Aldrin around telling him that he should tell the 'truth' about the Moon landings. I suppose if someone kept insisting that you had never been to the Moon and that you were perpetuating a lie then you'd eventually snap too. From what you post on here it makes sense that this was your profession. He was paid to bore people to death, you mean? Well I'm glad that at last something makes sense to you. I'd begun to despair. Are you volunteering to be included ! John, don't forget to post trigger warning's before you answer anything the native SJW's & WK's that peruse the forum spout their micro-aggression, safe space identity politics. Last edited by MrBlueSky; 3rd August 2016, 23:15. Last edited by Larry66; 4th August 2016, 11:21. This is the most original content I've seen you bother to produce for quite some time, though it still reeks of your usual laziness. For reference it should be 'warnings', as the apostrophe you've included is not required. It might also be useful to include the non-abbreviated version of 'SJW' and 'WK', as some of your fellow emotionally and socially stunted man-children might not know what they mean. Are you always such an angry, celebrity-adoring pansy, or is today a special occasion? That's his default mode ! Shouldn't make fun of the socially retarded. Last edited by MrBlueSky; 5th August 2016, 13:47. That, coming from the politically retarded. Not a bad punch, certainly connected.